The shots of The Automatic were taken at the first of a series of three intimate London shows for the band. 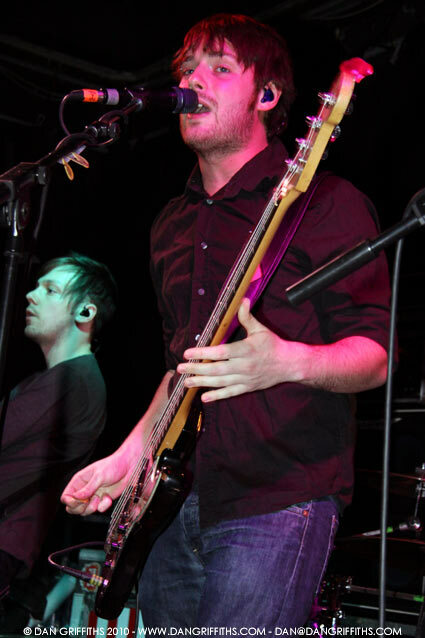 They were taken on Thursday night at the Hoxton Bar and Kitchen (Hoxton Bar and Grill). The band used much of the first half of their performance to showcase material from their forthcoming album ‘Tear the Signs Down’. New material that the band played sounded great. I had not photographed the band since I saw them at the Forum in 2007 and the addition of Paul Mullen to the line up definitely adds a different dimension to their sound. You can see more images from the gig can be seen in the gallery.